Kraftig canvas med justerbar skulderrem i brun læder. Mål: 41 x 30 x 12 cm. Kan anvendes til Laptops på op til 15". 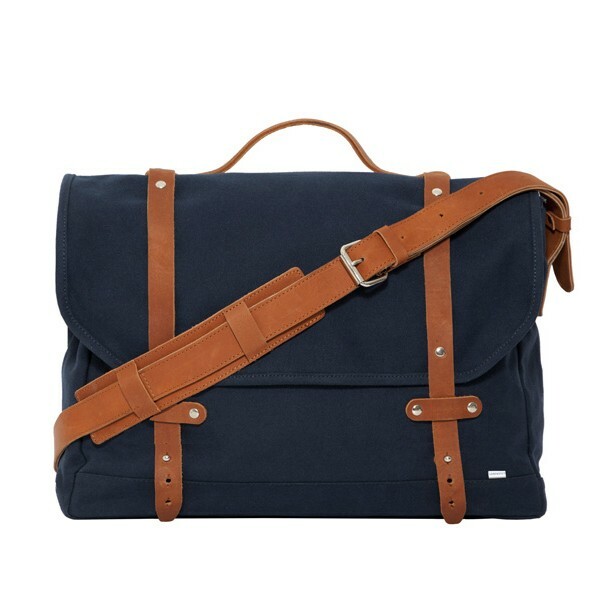 Large messenger bag in heavy 18oz cotton canvas with handle, shoulder strap and details in high quality leather. The bag has an inner sleeve (against the back) for up to 15" laptop and an inner zipper pocket and two open pockets on the inner fromtside. Blue canvas with cognac brown leather.